The Master of Design Studies (M.Des.) provides a post-professional degree for individuals seeking expanded design expertise and professional advancement. Utilizing strengths across the University of Arkansas campus and the Fay Jones School of Architecture and Design, the M.Des. program includes areas of concentration in resiliency design, retail and hospitality design, and integrated wood design. * The U of A Community Design Center (UACDC), a celebrated outreach program of the Fay Jones School of Architecture and Design, plays an integral role in the Master of Design Studies. Potential applicants can find more information about the Fay Jones School of Architecture and Design and the M.Des. program here. Learn more about the U of A Community Design Center’s contributions to the program below. Who should consider participating in the Fay Jones School’s M.Des. 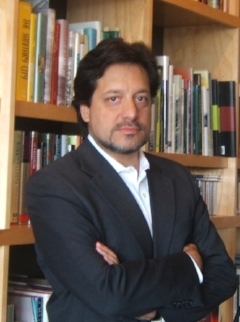 concentration in Resiliency Design through the UACDC? Design leaders with professional degrees in architecture, landscape architecture, and interior design who want to connect social activism, public-interest issues, and problem solving through innovative design. This program is for designers intending to make an impact within emerging urban frontiers by combining design and policy. 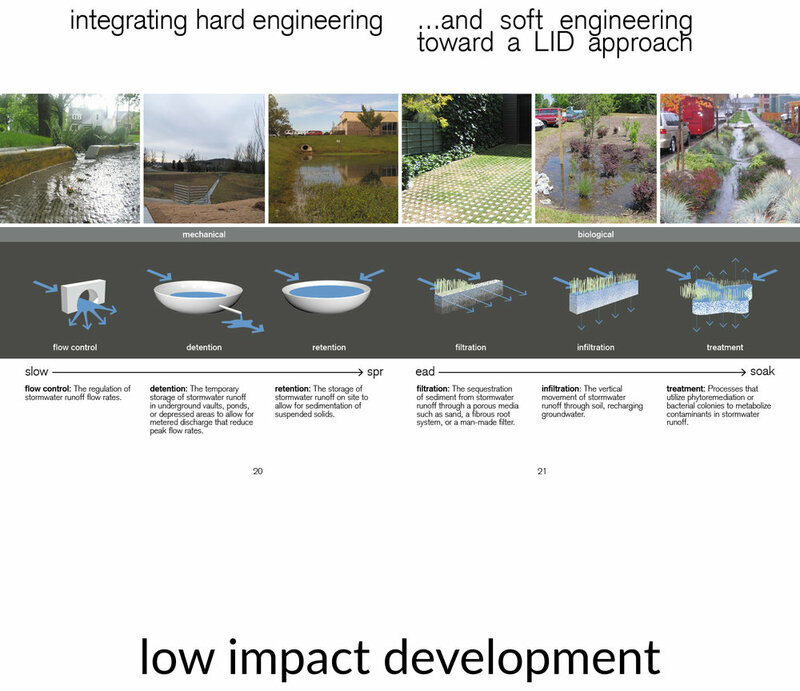 What will the concentration in Resiliency Design equip design leaders to do? Resilient thinking equips us to reimagine how human life might be organized on earth through urban drivers of change—water, energy, mobility, food, housing, aging, and health. Public sectors everywhere are asking designers to solve for multivariate problems of socio-economic complexity. Studio and seminar courses offered by the UACDC are dedicated to solving pressing public-interest design issues by combining design, research, and emergent modes of agency in the context of America’s premiere and award-winning teaching office. We aren’t as urban as we think we are. Close to 85 percent of Americans live in low-to-moderate density contexts outside the nation’s top 50 downtown cores. Ironically, the world is becoming less dense as it becomes more urban. While the megacity may be more energy efficient, the low-density metropolis and mid-sized city more readily approach resiliency given the interconnectedness of their ecosystems, infrastructure, and urban fabrics. 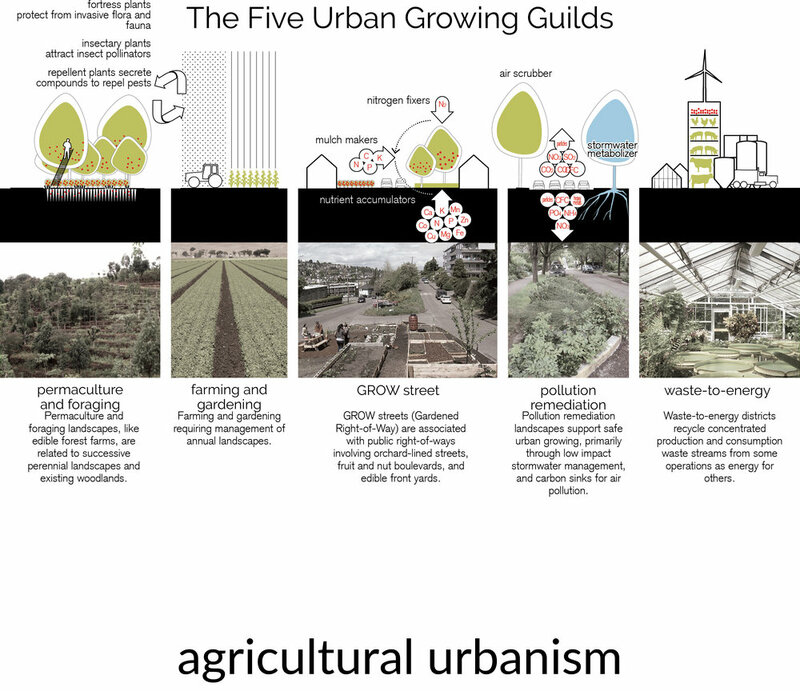 The UACDC has developed a repertoire of place-making platforms in low impact development, context-sensitive street design, watershed urbanism, middle-scale housing, development-oriented transit, and agricultural urbanism that deliver public goods through design. The UACDC’s platforms collectively yield a new ecology of the city necessary to engage the greatest ongoing challenge to planning and design: design within human-dominated ecosystems. Responding to the market’s unmet need for expansive problem solvers, the program’s objective is to produce design leaders equipped to engage complexity and develop public goods through design. 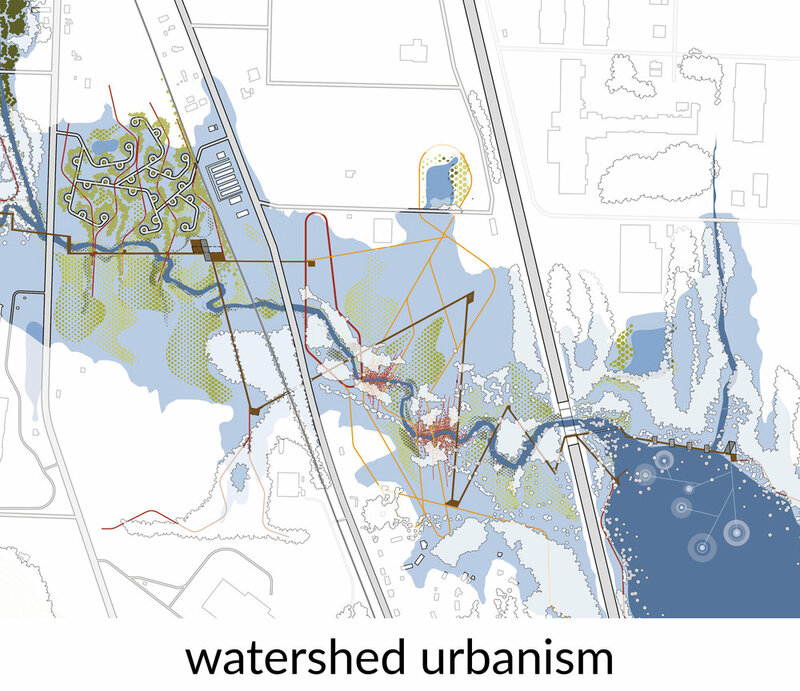 The program’s strength is its focus on connecting innovative design inquiry across architecture, landscape architecture, urban design, and ecological engineering with deep problem solving for ordinary contexts. Nationally recognized in public-interest design, the UACDC’s facilities and staff of practicing architects and urban designers, adjoin the U of A Resiliency Center, on Fayetteville’s downtown square. The Fay Jones School of Architecture and Design’s M.Des. program is amplified through opportunities with the UACDC by engaging with the center’s tool-specific design work that routinely encompasses collaborations among allied professionals in ecological engineering, architecture, landscape architecture, horticulture, public policy, economic development, food science, real estate and law. Students participate in research and development of project approaches, formulation of project framework vocabularies communicative to lay audiences, and design for real-world projects. Visit the Fay Jones School website to learn more about the M.Des. degree and the available concentrations, the admission requirements and application process, and a host of links for financial support, student resources, and life in Northwest Arkansas. Please contact Dr. Jennifer Webb, Graduate Coordinator, for information regarding specific details about the Master of Design Studies and all of the concentrations at FayGrad@uark.edu. *The M.Des. 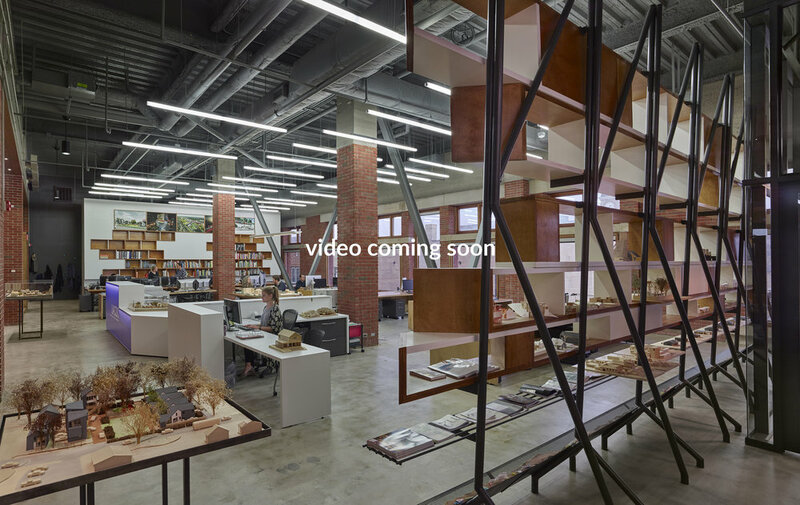 concentration in integrated wood design is available Fall 2020 pending final approval by the U of A Board of Trustees and the Arkansas Department of Higher Education.